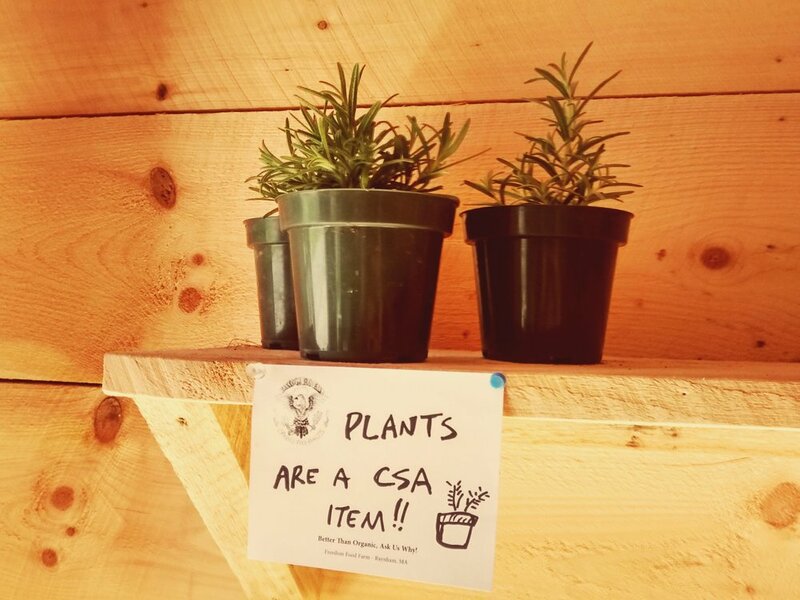 Our farm store is open to the public and serves as a CSA pick up location. 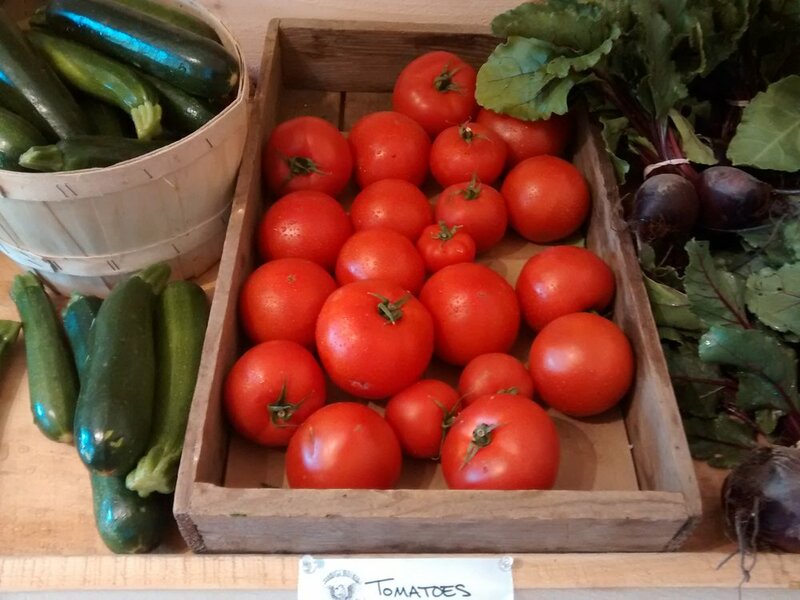 We offer the same produce and products at the farm store that we have available at farmers’ markets as well as some additional selection and locally sourced organic products. We are open year-round with a variety of seasonal farm produce, meat & other farm products! Come visit! 471 Leonard St., Raynham, MA. Farm is closed Sunday – Thursdays, for the winter. Farm store members pre-pay for a card and get extra money to spend at the store. Cards can be used toward any product in the store and members can refill their card as needed. Memberships are good for one year and are a great way to support your local farm! Seasonally we have berry spreads, sauerkraut, kimchi, bone broth, carrot ginger soup, veggie burgers, baking lard, chicken stock, pickles, garlic scape pesto, hot sauce, tomato sauce and more at the farm store! Ingredients are all from the farm or certified organic/ non-gmo. These are all produced by our farmer-chefs, learn more about our farm preserves and products. We carry a few select off farm products at the farm store. All are sourced from New England farms and producers. In addition to our own honey, we sell local honey from some local Massachusetts beekeepers that practice natural beekeeping. We sell out of our farm's honey seasonally, and try to offer raw, local honey at the store year-round. Seasonally, we carry organic, artisanal, farmstead cheese from Berle Farm in NY. Cows are raised with biodynamic practices and cheese is handmade in small batches at the farm using solar power. Please call ahead for dairy, honey & syrup availability - local product availability varies seasonally and are not always in stock. Call ahead before you make the trip! Copyright: Freedom Food Farm, 2019.